Hazard insurance for the home protects a homeowner against loss from a variety of events that may occur, including fire, theft, lightning and certain water damages. On the other hand, flood insurance is separate and protects against flooding. Many home buyers wonder if VA loans require them to obtain hazard and flood insurance. 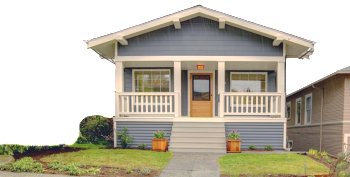 All homes that are purchased with a mortgage require hazard insurance, including VA loans. The VA lender will make sure that the homebuyer purchases and pays for hazard insurance before closing. This insurance must continue to stay in place for the entire term of the VA loan. The amount of the insurance policy must be sufficient to protect the property against any risks or hazards that may occur. This policy is often subjected to additional coverage that may be necessary in specific regions. This is typical in states that have a high risk of hurricanes, such as Florida, where windstorm insurance is an additional necessity. In addition to hazard insurance, VA loans require that flood insurance be obtained for properties that are located within a flood zone. Special flood hazard areas (SFHA) are identified and mapped by the Federal Emergency Management Agency (FEMA). Some homeowners with VA loans may find that, at some point in time, they are required to obtain flood insurance due to FEMA remapping of the flood zone. Although this usually occurs after a major event has occurred, it can happen at any time. Although the VA appraisal is a vital component of the VA loan process and estimates the value of the home, it does not determine the need for specific types of homeowner’s insurance. The VA lender is responsible for ordering a Flood Certification which will state whether the property is located in a flood zone. If a home is located within a flood zone and flood insurance is not available, the VA will not guarantee the loan. It is up to the home buyer to shop around for hazard insurance that will fit their needs. Usually, the same insurance agent will also offer the flood insurance if it is necessary. The flood insurance is offered by the National Flood Insurance Program (NFIP) and administered by FEMA through private insurance companies. Rates for flood insurance are set nationally and do not differ between companies or agents. Factors that can affect rates are the age of the home, type of construction and level of risk. While hazard insurance is mandatory for all VA loans, some home buyers will also purchase flood insurance even if it is not necessary; however, this is a personal decision. 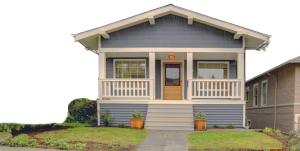 Homeowner’s insurance is an important part of the VA loan process since it protects all parties involved with the transaction should a hazardous event occur during the life of the loan. Your VA lender will help you determine what type of insurance is needed in addition to hazard insurance.